Although the prices for admission to Disneyland parks in Los Angeles, California, can be quite daunting, there are several ways you can save money on your vacation to Walt Disney's original theme park resort as well as to the California Adventure Park. From traveling during the off-season to booking special budget ticket packages, these money-saving tips can help you avoid the high prices of admission, meals, and even accommodations for your stay in Los Angeles. Whether it's your first trip to the Happiest Place on Earth or you're trying to save money on your latest trip to Disneyland, you don't need to break the bank to enjoy this world-famous amusement park. Disney introduced a surge pricing model for single-day tickets at Disneyland. This means that admission prices now fluctuate with demand, with higher prices during peak periods (think holidays and weekends) and lower prices during slower seasons, which mirrors the fluctuations in seasonal room rates that have long existed at Disneyland Resorts. Thus, it makes more sense than ever to visit when Disneyland is the least crowded. If your family can be flexible and visit at less-crowded times, such as midweek during the school year, your tickets will cost less. However, if you visit during weekends, school breaks, or holidays, your ticket prices will reflect this peak timing. There are three tiers for one-day theme park tickets: value, regular, and peak days. Disney uses its crowd calendars to categorize days and single-day tickets are now assigned to a specific day of use. Single-day tickets at both Disneyland Park and Disney California Adventure cost $97 for adults on value days, $110 on regular days, and $124 on peak days. To save time when you arrive, you can purchase your Disneyland Resort park tickets on the official website or through the Disneyland mobile app. When you purchase tickets through these methods, you can choose to receive either a physical ticket or a Disney eTicket, which are delivered in a PDF that can be viewed and printed on most desktop and mobile devices. In 2017, Disneyland launched Disney MaxPass, which allows mobile booking and redemption of Disney FastPass return times through the Disneyland app. Disney MaxPass is available for $10 per day. Disneyland Resort Annual Passholders also have the opportunity to purchase Disney MaxPass on a daily or yearly basis, and MaxPass will also give guests unlimited downloads of their PhotoPass images. All Disney tickets expire 13 days after the first day of use. So if you purchase a Four-Day ticket on May 1 and use it that day for admission to Disneyland, you'll be able to visit a single Disney theme park on any of your three remaining days from May 2 through May 14. After that, the ticket expires, and any unused days will be lost. If you are visiting Disneyland for more than one day, seasonal pricing does not apply to multi-day tickets, whose per-day cost remains substantially less than for single-day tickets. In a nutshell, every day added to a ticket lowers the per-day cost, so if you want to get the lowest-price ticket possible, you should purchase a multi-day ticket and visit a different park each day for a lower price. If you buy a three-, four-, or five-day ticket online, you also receive a great-value perk called Magic Morning, which is early admission one day during your stay to Disneyland Park an hour before the park opens to the public. This gives you access to select rides and attractions before the crowds hit the park. However, if you only have one day to enjoy the Disney parks in Los Angeles, you can buy a Hopper Ticket, which allows you to access more than one park in a day for the same price. 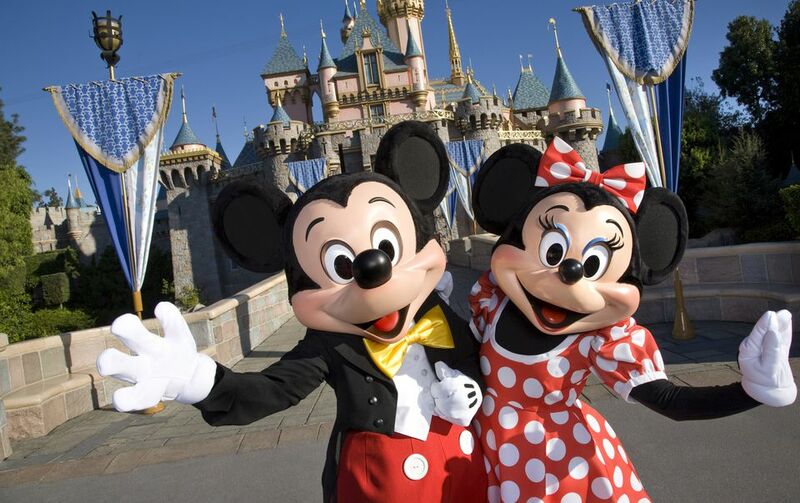 For example, you can visit Disney California Adventure in the morning and then go to Disneyland in the afternoon. However, the Park Hopper option is sold as an add-on; so, if you want to keep your costs down, you should stick to one park per day.